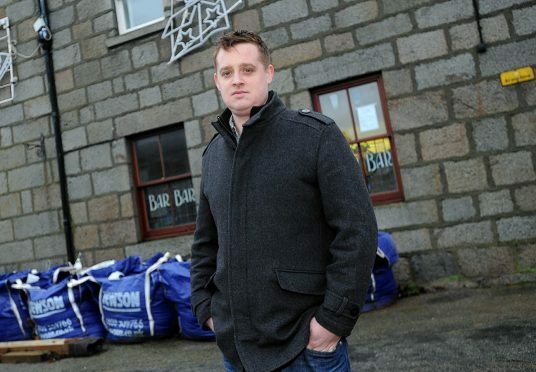 An Aberdeenshire town’s only pub will reopen within weeks after two years of sitting empty. The Kintore Arms has been redeveloped as a lounge and bar by local man Steve MacDonald – who worked in the pub as a barman 10 years ago. And the offshore worker is turning the watering hole, in the heart of Kintore, into a family enterprise with his mother, father and sister helping to run it. Mr MacDonald said if all goes according to plan, it will reopen on April 1 – with excitement said to be growing among locals. The 19th century pub will re-open under the new name The Square Bar and Lounge. Locals have been forced to head to Inverurie and Blackburn for nights out since the pub closed its doors in recent years. Mr MacDonald said: “We have had no major hiccups. Originally March was going to e the official opening but delays with flooding in and around Kintore meant all the contractors were busy. We let them crack on and help the local people. He added: “It is looking good though, we are pretty much there. We are just waiting for the decorating to be done. We are getting there, it is just a slow process. “The general feeling from everybody is pretty good. There is a fair amount of people looking through the windows, everyone is having a nosy in. We are all pretty close-knit in Kintore. He said he is going for a look inspired by the likes of Revolution and Siberian Vodka Bar on Aberdeen’s Belmont Street.